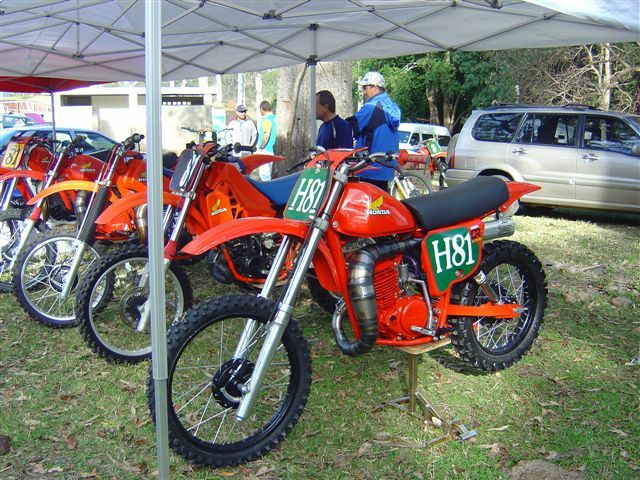 Just sending some pictures from our weekend race meeting in Queensland Australia (The Conondale Classic) we had over 120 riders and lots of pre 85 bikes, included are shots of the track and my own Honda collection (you may remember one of my CR250 Red Devils on the bike of the month last year). The bikes are the two Red Devils, '82 CR480R, '83 CR480R, and the '84 CR250R and '84 CR500R. Have just got my hands on a original '74 CR250M to restore and add to my collection also.